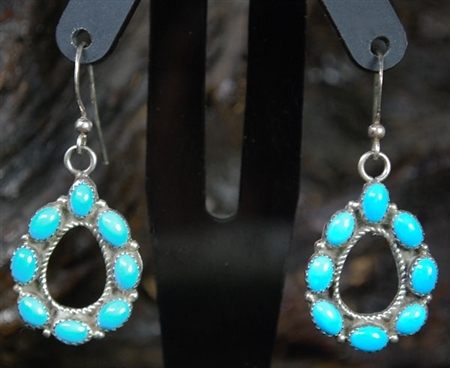 Wonderful Sterling Silver dangle earring by a talented Navajo artist. 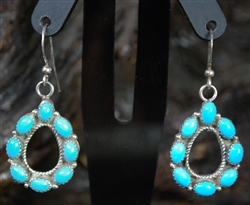 A lovely silver design, set with natural Sleeping Beauty turquoise 15 small oval stones. Hallmarked. TC, Sterling. They measure 1 1/8" long, with the width of 3/4". Sterling French wires.